Every beginner softball player has unanswered questions when it comes to getting the best bats. Reliable information is often hard to find. There are several vague opinions set on softball bats all over the internet. This great article will help you find out reliable basics of softball bats by addressing your common softball bat questions. The answer is yes and no. Nowadays, softball bat prices range from $100-$500. It is true most expensive softball bats last longer and are made with the best technologies. But there are also a great number of affordable softball bats that come in high quality. 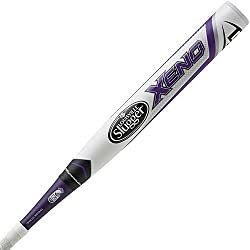 Most popular softball brands like Louisville Slugger and Miken provide softball bats that are budget-friendly. Should I get an aluminium bat or a composite bat? Generally composite bats are the better choice because they have fibers which are graphite and carbon. The ball can be hit much harder. They can also make the ball reach farther distances. For younger fastpitch players, aluminium bats are more recommended because they usually are against slow and wild pitches. If your daughter is at an average level in softball, she can use aluminium bats to swing bunts and likely homeruns. Highschool batters who can handle a 12u travel ball often use the composite bats. This will help handle hard hit bats. What are the best bats to buy? For softball players, everyone looks for the big three famous brands: Easton, Louisville Slugger, and DeMarini. You want to find the best softball bat that is certified in order to be able to join official competitions. Softball bats are certified by USSSA, ISF, ASA, and NSA among other organizations. Before buying softball bats, you should check if the bat is not on the “illegal” list of most bats. What should be the bat size I should get? Buying a softball bat, you should always consider its size because it is a factor to make your game stepped up. The bat size depends realty on the age and capabilities of the athlete. Small girls can hit big and heavy bats as long as they have the power to handle it. On Amazon several, buyers suggest sizes for athletes as young as 10 years old in their softball bat reviews. Should I choose endloaded or balanced bat? The issue of end loaded or balanced bats depends on the type of hitter you are and the priorities you have as a hitter. Powerful hitters usually use endloaded softball bats. The barrel of these bats are heavier. The speed increases during and after contact with the ball. They can add 10 to 30 feet to the distance of your hit. If you are a base hitter, you should use balanced bats. Just like how its name suggest, the weight is evenly distributed with these kinds of bats. This allows better bat control. You can also be more likely to hit bats with late swings using balanced bats. A bat drop is the length subtracted by its weight. The drop is another factor when you buy a bat. This is not a factor on indicating if it is endloaded or balanced. Since a performance of a batter depends on both weight and length, the knowledge of a bat’s drop is essential. What is the difference of slowpitch and fastpitch softball bats? Slowpitch and fastpitch bats differ in a number of aspects. Slowpitch bats are made to hit softballs that come at 25 mph. They are meant for slugging balls. Fastpitch ones can hit softballs that come more than 80 mph. They are made for swift responses needed by the player. Slowpitch bats are usually heavier than fastpitch ones. They weigh 34 to 48 ounces. Fastpitch bats have to be light because the challenge of facing high speed pitches. Their weights are within the 26 to 30 ounces. These bats are similar when it comes to size and barrel diameter. They may come 32 to 34 inches. The narrow diameter of the barrel is 2.25 inches. Does the type of softball bat matter? Although studies state that fastpitch bats can be used in slowpitch softball, it would most likely result to a damaged bat. Slowpitch bats in fastpitch softball also brings disappointing results. It would not meet the needed reaction time for delivered pitches. Where should I shop for softball bats online? Online shopping for bats may be difficult because you must be ensured the bat is the best fit for the athlete. Some online shops do not understand the special feel a softball bat has. Amazon is the most trustworthy place to buy your softball bat for both slowpitch and fastpitch players. This is mainly because they are willing to help customers find affordable items that have the right feel. How do I shop for softball bats? You would have to look at the general materials and brand of the bat to see if it is appealing. Check its weight and length in your batting stance. Measure it with your body. You may also want to read the reviews about getting the sweet pop with your softball bat. You should also check for its certification. As soon as possible, you should see if the bat could possibly have been altered. It is not possible to buy a softball bat for a special one and not have him around. It is most essential the player must try the bat for himself because only the player can determine the best bat. If you want to surprise a softball enthusiast, it would be best to help him test out the softball bat before it is too late to return the bat. Most bats can be released at least three times. You can read softball reviews made about the usual age group that uses a certain bat. This article has provided you all the fundamental common softball bat questions you need about softball bats. This will definitely help your achieve all your goals with this special sport. If you want to find out more information about softball just check me ezteamsport.com regularly.